Giving birth to a baby is one among the great feelings for mothers and a best blessing of the nature. However, giving birth to a baby in Dubai requires a proper procedure that is must for everyone. Moreover, it is a hue responsibility of the parents to get the required paperwork done within the assigned time. Your responsible attitude is a guarantee of your kid’s bright future in one among the world’s busy business destinations like Dubai. You children will be able to claim his or her identity and right with their legal documents in hand. If you get pregnant after your marriage, then it means you are safe and can carry all the legal procedures of giving birth in Dubai very smoothly. The moment you come to know about your pregnancy, just make sure to find about the good hospitals of Dubai, offering best maternity services. Check out the list of Hospitals in Dubai. However, do not forget to keep your budget or income in mind while finalizing hospital for you delivery. Search online or enter official websites in order to know about their facilities and the charges per delivery. Once you finalize the hospital to give birth in Dubai, just call or visit them a few weeks before your delivery date ask them to pre-register your case and pre-arrange the required work. Provide them with the required documents. Note: You can get the contact number of the hospital or the concerned person during your visits for pregnancy’s monthly checkups. When your cute baby is born, ask the concerned authority of the specific hospital to give you a “Notification of Birth Document” in an Arabic language. This document is usually issued at the time of the discharge of the new born baby and the mother from the hospital. Use this Notification of Birth Document to Get Birth Certificate in Dubai. 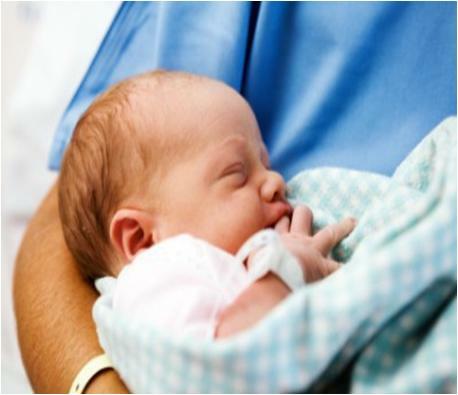 If you are a Dubai national, then life is easy for your new born child as the birth certificate is enough for him or her to avail the upcoming facilities by the government. On the other hand, if you are a foreigner and just a resident, then make sure to get the Passport for Children Born in Dubai.